The National Institutes of Health (NIH) found that almost 50 million American adults suffer from severe pain (1). Most of us have heard severe pain labeled as chronic pain. Sadly, many people are confused about the formal definition and how it develops. In this article, we will explore the delineation and origins of this condition. Pain is a crucial evolutionary tool that helps us to learn what things are dangerous. From our first fall as a toddler, an association between pain and events that may threaten our well-being begins to develop; with every subsequent fall, that connection becomes stronger and stronger. This sharpens our instincts and increases our chances of survival. It also allows us to know if we have physical damage in our body that we need to attend to. Everyone experiences sporadic pains like headaches or sore knees from tripping on the sidewalk. Pain, officially becomes identified as chronic, when it has lasted in a specific body part for more than 3 months. 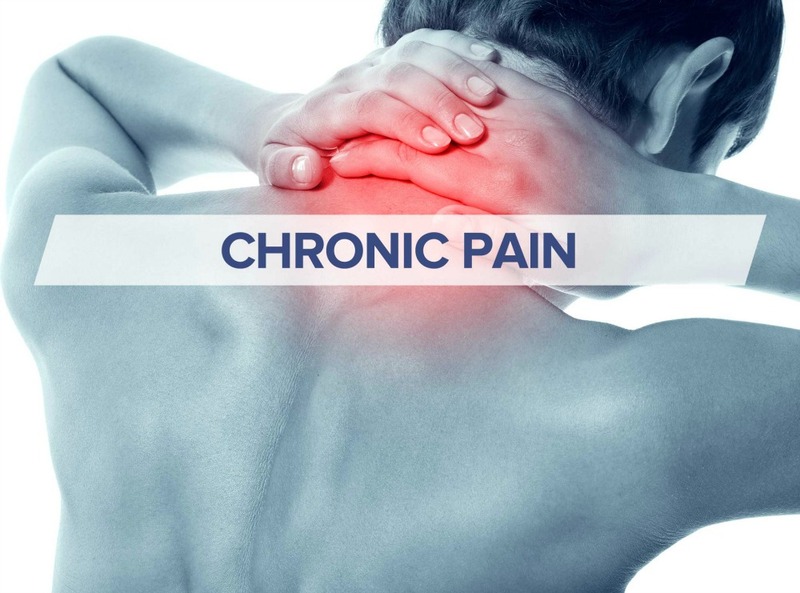 Now, let’s look into some of the factors involved in the development chronic pain to gain a better understanding of it. To better grasp why we feel chronic pain, it’s important to understand the mechanics. Our brains send signals to different parts of the body all the time. This includes messages that we are in pain. Chronic pain is a reality when the brain has sent pain signals to a specific body part for longer than 3 months. Doctors do their best to find and alleviate the root cause. If, however, they cannot find a root cause, they consider possible mental or emotional causes. Is there always a psychological component to chronic pain? Those who suffer from chronic pain, but don’t have an underlying cause might create a connection to activities that are not dangerous. Consequently, their increased fear and anxiety can produce the psychosomatic (“in the head”) experience of pain. Unfortunately, there is no concrete causation between chronic pain and trauma. However, science has made a correlation among the two. Furthermore, the experience of trauma, irrespective of it being physical, psychological or both, can strengthen the link between an activity and pain. In layman’s terms this means that if you were injured in a traumatic way, your chances of developing chronic pain increases. Can the psychological aspect of chronic pain be resolved? Usually, once enough time has passed, and the damaged tissues have healed, the main culprit becomes the pain itself which is increased by a hypersensitive nervous system. As soon as this incidence is identified, and other structural damage is ruled out, a physical therapist can work with you to resolve tour pain. This is why health professionals are wary of solving chronic pain is usually through surgery or other avenues that change the structure of the tissues themselves. Rather, with personalized physical therapy options that help to strengthen new connections in our brain that do not lead to the experience of pain. With that said, every case is different and it is always possible that pain is caused by a specific structural issue which is why it is important to consult a healthcare professional, obtain second opinions etc. As previously mentioned, there are many different treatment avenues. Seeing a physical therapist at Atlantic Physical Therapy is the perfect option to help you to get better. After an initial evaluation, your therapist will guide you through the right progression of exercises to appropriately challenge your body and encourage your brain to strengthen new pathways that don’t produce pain. Additionally, physical therapists can also help you to differentiate between pain from harmful stimuli and non-harmful stimuli; that knowledge ensures you stay on the right path to getting back to your pain free life. Here is a short YouTube video that summarized everything I just explained in an awesome animation, enjoy!